Dysphagia is difficulty in swallowing and different from odynophagia which is painful swallowing. Dysphagia occurs during ingestion of liquids, solids or both. Dysphagia may be associated with the mechanism of swallowing which is differ from odynophagia. Dysphagia congenitally is caused by esophageal atresia. The acquired caused of dysphagia can be divided into outside the wall causes, in the wall causes, in the lumen causes and neuromuscular disorders. Outside the wall of esophagus causes are thoracic aortic aneurysm, pharyngeal pouch, dysphagia lusoria, mitral stenosis causing enlargement of the left atrium, paraesophageal or rolling hiatus hernia , goiter and mediastinal tumor such as bronchogenic carcinoma and lymphadenopathy. In the wall of esophagus, the causes of dysphagia are Plummer - Vinson syndrome, achalasia, Changas disease ( common in South America), scleroderma, inflammatory stricture due to candidiasis, caustic stricture and gastro esophageal reflux disease, carcinoma as well as irradiation. Food bolus and foreign body are the common causes of in the lumen related causes of dysphagia. Neuromuscular disorders may causes dysphagia. The neuromuscular disorders are Guillain Barre syndrome, bulbar palsy, myasthenia gravis, cerebrovascular accident and motor neuron disease. Esophageal atresia is the common congenital causes of dysphagia. Esophageal atresia is associated with maternal polyhydramnions. Chest infection, inability to swallow, feeds, dribbling of saliva, production of frothy mucus, cyanotic attacks and choking attacks are associated with newborn with esophageal atresia. Dysphagia associated with mediastinal lymphadenopathy may present with swelling at the groin or axilla. Para esophageal or rolling hernia may lead to intermittent onset of dysphagia that occur due to the pressing of the esophagus by full stomach. Diaphragmatic irritation may associated with hiccups. Large goiter is clearly defined. Mitral stenosis sufferer may suffer from dysphagia due to the pressure from the enlarge left atrium. Bronchogenic carcinoma may causes dysphagia from direct pressure to the esophagus due to secondary spread to the lymph nodes of the mediastinum. Patient may complain of hemoptysis. Elderly or middle age patient may present with pharyngeal pouch, that present in the left posterior triangle of the neck. In this case, dysphagia may occur behind the manubrium due to the compression of the esophagus by the pouch. The patient does present with halitosis and regurgitation of food while coughing on lying. Irradiation stricture may occur due to history of radiotherapy to the mediastinum and chest. Immunocompromised patient is more predispose to dysphagia related to esophageal candidiasis. Changas disease is caused by trypanosoma infection. Changas disease is a rare condition due to degeneration of the myenteric plexus. Changas disease produce similar symptoms as achalasia which result in loss of esophagus peristalsis contraction and loss of or failure of the relaxation of lower esophageal sphincter due to swallowing. Achalasia is common in 30 to 50 years of age. The dysphagia is getting worst after initially presented intermittently. Achalasia is worst for fluid which is follow later by solid. Aspiration pneumonitis may occur due to regurgitation of fluid. Scleroderma is identified by changing in the skins of the finger ( sclerodactyl) and around the lips as well as history of Raynaud’s phenomenon. Caustic ingestion may lead to caustic stricture. It is presented with sudden onset of dysphagia and pain which may recur few months later after treatment due to stricture. Inflammatory stricture is associated with gastro esophageal reflux and hiatus hernia. The patient may complain of history of acid reflux as well as burning pain which is worst on lying or bending down or recumbency. There will be a gradual onset of dysphagia and localization of dysphagia at the lower sites of the sternum. 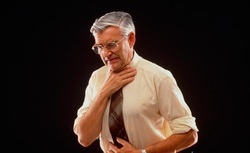 Plummer Vinson Syndrome may present as post cricoid web or web in the upper esophagus. Plummer Vinson Syndrome may present with food sticking at the upper end of the esophagus and dysphagia. Plummer Vinson Syndrome affecting commonly middle age woman. Plummer Vinson syndrome , Barrett’s esophagus and achalasia as well as prolonged esophagitis are premalignant condition. Esophageal carcinoma is presented with sudden onset of dysphagia. It is begin initially with solid then liquid. Patient present with symptoms of anorexia, weight loss and anemia. Neuromuscular disorder such as motor neuron disease, myasthenia gravis, poliomyelitis, Gullain Barre syndrome and cerebrovascular accident. Dysphagia may also occur due to motility disorders. Nothing significant will be found on examination. Patient may present with hepatomegaly or liver which is palpable due to metastasis as well as cervical lymphadenopathy and loss of weight in cases of carcinoma. Patient with mitral stenosis may be associated with enlarge left atrium, peripheral cyanosis, tapping apex beat, left parasternal heave, malar flush, opening snap and mid diastolic murmur of the apex. Raynaud’s phenomenon, telangiectasia, sclerodactyl and calcinosis of the subcutaneous tissue are associated with scleroderma. Neurological abnormalities are associated with neuromuscular origin. Changes in the skins are consistent with evidence of irradiation stricture due to previous radiotherapy. Palpable swelling on the low down in the posterior triangle of the neck that gurgles on palpation is due to pharyngeal pouch. Plummer Vinson syndrome is presented with glossitis, angular cheilitis and koilonychia. Goiter is presented as palpable swelling which moves on swallowing. The laboratory investigations require are full blood count, urea and electrolytes, ESR, liver function test, chest x ray , ECG, barium swallow , CT scan and OGD. Full blood count may reveal low Hb level due to carcinoma, esophagitis as well as peptic stricture and Plummer Vinson syndrome. Urea and electrolytes may detect any dehydration. Raised ESR is due to scleroderma and malignancy. Liver function test may present with raised alkaline phosphatase due to liver secondaries. Chest X ray may detect any signs of mitral stenosis such as large left atrium or double shadow behind the heart. Besides that chest x ray may detect any aortic aneurysm and widened mediastinum. Chest X ray may also detect air fluid level in case of achalasia, radio opaque foreign bodies, paraesophageal hernia with gastric air bubble in the chest, hilar lymphadenopathy or mass due to bronchial carcinoma . ECG may reveal left atrial hypertrophy . Barium swallow may detect external compression, achalasia, stricture and pharyngeal pouch. CT scan is useful for identification of mediastinal nodes, goiter, staging of the tumor, spread of malignancy, aortic aneurysm and any abnormalities in the placement of arteries which lead to extrinsic compression ( dysphagia lusoria).